The stockmarket floatation of Facebook brings together a range of issues in how we understand work and the creation of economic value but we should be careful not to overstate the novelty and conflate the newness of the media with the basic economic logic at work here. As Chris Prener suggests in his post, ‘Facebook may represent a new frontier for work and labor where even leisure activity can be exploited for the generation of profit’, but is this really so new? In their now classic study of traditional media, Manufacturing Consent, Herman and Chomsky explain the basic business model of newspapers as being the production of an audience for advertising. Their analysis suggests the counter-intuitive notion that publishers’ main product is not the newspaper, which they sell to their readers, but the production of an audience of readers, which they sell to advertisers. In short, the readership is their product. This explains why newspapers will often offer a significant discount for students, as this enables them to catch future affluent consumers early on as they establish their media consumption habits. In its more extreme variants, this can lead to the thesis that even watching television can be understood as a form of labor, as by watching TV you produce the audience, which is the broadcaster’s main product – an idea that was neatly captured in an Adbusters’ video a few years ago. On this understanding we can certainly position the users of Facebook as laborers. If labor is understood as ‘value producing activity’, then updating your status, liking a website, or ‘friending’ someone, creates Facebook’s basic commodity. It produces marketing data about you, which they can leverage for market research purposes and to better target advertising you might be interested in. It also produces an audience, as your ‘friends’ receive updates, follow your links, or log on to Facebook to join a conversation. This is why Facebook adds ever new functions; Zuckerberg wants us to spend as much time on his platform as possible, as time is literally money. This is the kind of work that Tiziana Terranova has called ‘free labor’. It is not work as employment, because it is unpaid and freely given to the company, but it is also free from compulsion. This is not new, as Chris Prener notes and as Marx recognized in his own use of the concept of the ‘free laborer’, who was free both to choose his employer and free from any other means of supporting himself than to sell his ability to labor to the highest bidder. The formal freedom of the employment contract was therefore underpinned by a substantive lack of freedom resulting from the institution of private property and, specifically, from the enclosure of the commons upon which other means of provenance could historically be secured. Marx’s laborer is only free insofar he or she is free to be exploited by those who own property. The main difference today is that the bourgeois class does not have to own big factories (although note Facebook’s need for huge, energy hungry data centers; it can simply conduct its business over the web. If we really want to understand the economic position of Facebook, the idea of ‘free labor’ needs to be combined with this concept of enclosure. For an increasing number of people today both work and other social relations are mediated by Facebook and other social networking sites. If people want to develop their social capital, maintain friendships, or just arrange a night out, they are increasingly obliged to do so through Facebook. In short, Facebook has enclosed the informational commons of social networking via the Internet by managing the protocols for communication and branding the site. Although no direct charge is made for using the site, Facebook can capitalize on the activity of its users, through the brand, by selling their data, their friends, and their attention to advertisers. But maybe this is not so much a form of labor. Perhaps we might better consider this as the extraction of a ‘rent’, albeit at one step removed, in the same way as Žižek explains Microsoft’s profits? The difference is that Microsoft extracts a direct rent, through licensing their software, which provides users with access to the protocols of computer mediated communication. In much of our work we are dependent on their software and so pay a form of rent through the license. Universities, for example, are completely dependent on Microsoft Windows and Office. Ours does not support any other platforms, locking all staff and students into the properties and closed protocols developed by Bill Gates’ microserfs. 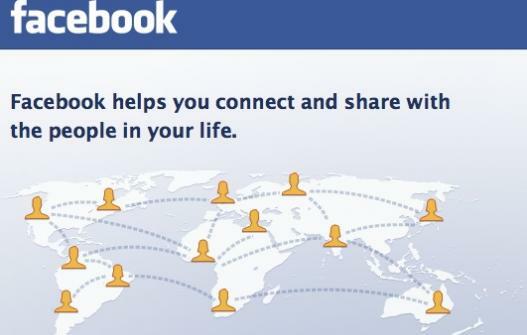 In the same way, Facebook has achieved a kind of ‘lock in’ for the social networking functions of the web. Many of our students don’t even seem to use E-mail anymore; they are just using the messaging service of Facebook. The value of Facebook to investors is based on a kind of enclosure through branding. The site has become an indispensable tool for communication and social reproduction. Through the brand, Facebook secures future participation and the attention of audiences, which the company can sell to advertisers. So long as it dominates the virtual space of social production, and maintains its status as an obligatory point of passage for access to valued social networks, its business proposition is strong. If Facebook maintains its virtual monopoly on web-based social networking, it has a valuable audience to sell to advertisers, and investors should hence be able to expect stable and healthy profits. Let’s remember though that these profits are only possible because of the time and labor we, as users, invest in Facebook. Having said that, to restrict the analysis of Facebook to free labor misses this crucial point about how the company is successfully privatizing online communicational media in order to extract what we might call a ‘rent on attention’, capitalizing on this through its brand. As Hugh Willmott has recently argued, just looking at labor and the production of value misses the location of such activities within a much wider circuit of value, in which branding and enclosure are central figures. But is this it? Will Facebook dominate the web or even all our social connections forever? Of course not! As much as we love Facebook, people are also starting to hate it, to mistrust it, to expose its privacy game. It is perhaps not coincidental that Facebook’s IPO comes hot on the heels of political and media debates over Intellectual Property Rights in the wake of the SOPA and PIPA acts in the US. The social web and its politics are still up for grabs. Chris Land and Steffen Böhm are both professors at the University of Essex in England. An editorial by Michel Bauwens commenting on this article can be found here.